Together with a handful of inspiring friends we are able to offer some ‘you’ time on this beautiful island. The villa is able to sleep 8 guests comfortably, one room is double, one twin and the remaining rooms can be double or twin depending on your requirements. Each room has it’s own bathroom, three of them being en-suite. 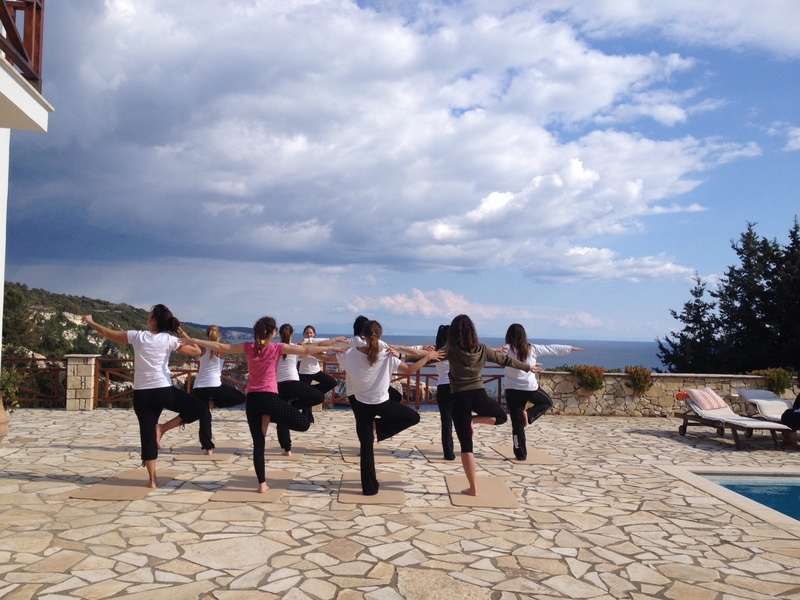 The villa offers comfort and tranquillity and boasts one of the most stunning views on the island, the perfect setting for morning yoga and evening classes in complete privacy. 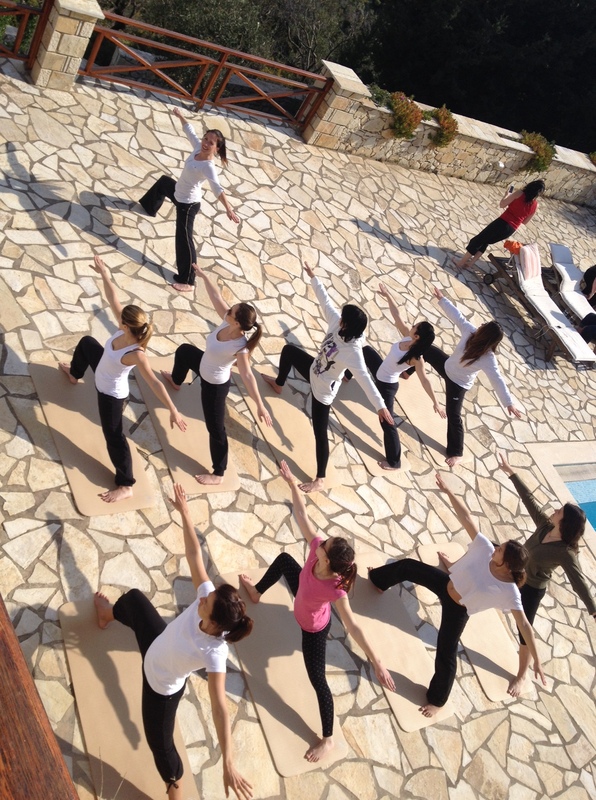 Our highly experienced instructor is able to offer a large variety of classes, we would suggest a morning yoga class and a subsequent class of your choice in the early evening, all classes will be tailor made to your group’s requirements and ability. We are able to offer a cook to prepare seasonal nutritious dishes. If guests prefer to prepare their own meals we can arrange an initial fridge fill service and shopping service throughout your stay. We aim to make your stay as relaxing as possible, your transfers to the island from Corfu will be arranged for you, you will be met and shown to the villa and we will be on hand to ensure that your questions are answered and requirements met. Between us we have a great knowledge of the island and whilst here if you wish to explore more of it we are on hand to assist. Please contact Samantha daSilva at samidasilva@hotmail.co.uk for further information and pricing.